Girls on Fire, the Triads first all-girl robotics team is recruiting new members to join this talented, spirited and driven group of young women. 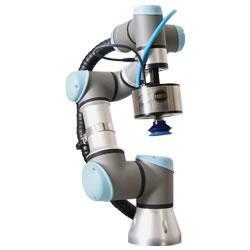 In a recent project, the University of Waterloo used MapleSim to develop new model-based controllers for a musculoskeletal model of the human arm for an upper limb rehabilitation robot. This ultimately will help improve the rehabilitation process for post-stroke patients. The second International Drone Expo (IDE) and Drone Business Conference, the largest global commercial drone gathering today announced the IDE 2015 Drone Pitchfest, a once in a lifetime opportunity for drone entrepreneurs to get in front of the most influential venture capitalists dominating the powerful drone community with $150,000 of funding to be won. Knowing exactly where and what task a robot will do next can help workers avoid injury. Engineering design services and material deliveries will be performed from now into calendar year 2016. 08/12/15, 09:07 AM | Industrial Robotics, Unmanned & Other Topics | motion control | Motion Controls Robotics, Inc. Automation improves the safety and efficiency of the roll handling process. Visit Motion Controls Robotics in booth #4421 at the CPP Expo to see how FANUC robots are integrated into the application to transform the roll handling process. 08/12/15, 09:07 AM | Industrial Robotics, Unmanned & Other Topics | ABB Inc.